I came across a fun article ranking the best ads of 2017 into a top 25 group. My personal favorite is definitely the ostrich Samsung commercial. I just think it is a very creative marketing campaign for VR goggles to advertise virtual reality as a way to accomplish and experience things that are not otherwise possible. Sometimes the more obscure and creative examples drive the best results to consumers. Another example of why creativity is key in marketing campaigns. Not only is it pleasurable to watch, but it is immediately something that will drive shares and interactions. 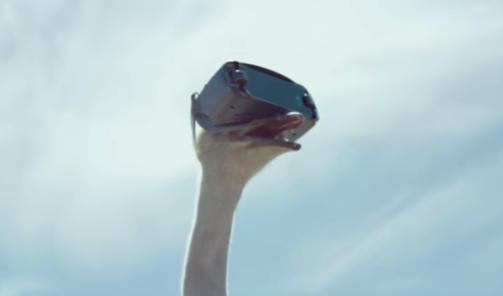 I mean, who doesn’t want to see an ostrich with VR goggles on?